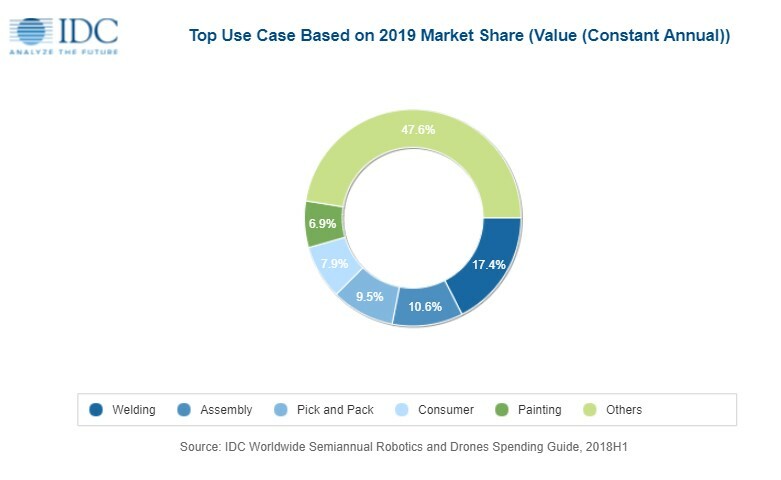 FRAMINGHAM, Mass., December 4, 2018 – A new update to the International Data Corporation (IDC) Worldwide Semiannual Robotics and Drones Spending Guide forecasts worldwide spending on robotics systems and drones will total $115.7 billion in 2019, an increase of 17.6% over 2018. By 2022, IDC expects this spending will reach $210.3 billion with a compound annual growth rate (CAGR) of 20.2%. "Industrial robotics continues to top the technology investment priorities of manufacturing organizations across all major markets surveyed by IDC in 2018," said Dr. Jing Bing Zhang, research director, Worldwide Robotics. 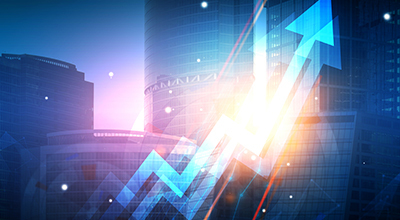 "While the looming trade war between the United States and China is likely to dampen the market growth slightly in the near term, we expect the growth trend to pick up from 2020 onward." "The worldwide market for commercial service robotics will continue to grow at a rate of 20% per year for the coming five years," said John Santagate, research director for Commercial Service Robotics at IDC. "This growth is due to continued innovation in ease of use as well as the drive for flexible automation across industries. We expect to see growth driven by increased adoption of autonomous mobile robots and collaborative robots being deployed as a means to deliver improvements in capacity, productivity, and efficiency." "The market is working to simplify the use and integration of drones with efforts ranging from enabling new drone applications through improved technological capabilities to understanding the regulatory implications of drones and the viability of these applications. Drones are developing new skills, coupling 3D mapping and fully autonomous navigation capabilities with rapid improvements in battery performance and air-traffic management systems. Drone adopters continue to search for a safe, cost-efficient, and repeatable drone solution that can be easily implemented in a variety of situations and use cases," said Stacey Soohoo, research manager, Customer Insights & Analysis.